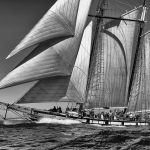 The mission of the Maritime Museum of San Diego is to serve as the community memory of our seafaring experience by collecting, preserving, and presenting our rich maritime heritage and historic connections with the Pacific world. The history of human achievement is defined in large measure by our historical relationship with the sea. Not only has the sea determined the progress and shape of civilization, our understanding of that relationship and our responsibilities for stewardship of the oceans will determine our future. This relationship cannot be understood or defined in purely scientific terms; culture exerts a dominating influence. The role of any maritime museum is translation between human experience of the oceans and our understanding of their nature. Founded in 1948, the Maritime Museum of San Diego enjoys a worldwide reputation for excellence in restoring, maintaining and operating historic vessels. The museum brings adventure and discovery to life through interactive exhibits, volunteer opportunities, and educational outreach. The Maritime Museum of San Diego has one of the world’s finest collections of historic ships, including the world’s oldest active ship the Star of India. The museum, located on the North Embarcadero in downtown San Diego, is open to visitors daily. The Maritime Museum of San Diego hosts one of the world’s finest collections of historic ships, which represent a unique set of international, national and state narratives. Visitors are invited to step aboard each of the historic ships to explore and discover their rich, living history. collection of ships to engage visitors and bring the ships’ history to life. 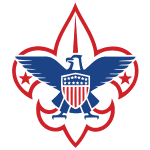 Click here for current Visiting Exhibits. 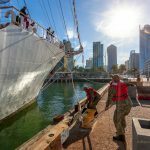 As a museum of living history, the Maritime Museum of San Diego is indebted to its many members, docents and volunteers who are actively engaged in bringing adventure and discovery to life for the museum’s many visitors. Curricular content for all educational programs is aligned with the California State Science and Social Studies framework for grade levels K-12. The ships that comprise the Maritime Museum of San Diego’s collection are both beautiful and versatile. As such they host hundreds of special private events each year. Past events have included weddings, corporate events, private receptions, meetings and luncheons. Each ship has its own unique persona, as well as history, that can add to events. Festival of Sail each Labor Day weekend: Festival of Sail is the LARGEST Tall Ship festival on the West cCoast and is hosted at the Maritime Museum of San Diego, transforming the North Embarcadero over Labor Day weekend into a nautical theme park. Chocolate Festival: A family friendly event with vendors focusing on chocolate edibles, fun & crafts for kids, demonstrations and other interesting items for adults. Pirate Days: Pirate Days, a two day celebration for kids of all ages, will include kids costume contests, cannon firings, weapon demonstrations, sword fights, scary stories, and a scavenger hunt for Pirate Treasure. 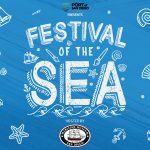 Sea Chantey Festival: Sailor’s songs come to life with life music recreating popular sea chanteys. Presented in partnership with the San Diego Folk Heritage. Family Sleepovers: Each summer families travel back in time with the Maritime Museum of San Diego’s living history staff and spend a night aboard the Star of India, the world’s oldest active ship. For current and upcoming events view our Public Events main page Click here. Dr. Ray Ashley is President/CEO of the San Diego Maritime Museum. Growing up locally, he became director of the San Diego Maritime Museum in 1995. He holds a BA in Anthropology from UCSD, an MA in Maritime History and Museum Studies from East Carolina University, and a PhD in History from Duke University, specializing in the history of science, technology and medicine. He has taught courses in history and archeology at UCSD and USD, teaches History of Navigation for the Museum, has published papers in American Neptune and a number of other professional journals, and writes a quarterly column for the Maritime Museum’s peer reviewed journal Mains’l Haul. Dr. Ashley has been sailing for most of his life since spending his senior year in high school on the schooner Westward and has sailed tens of thousands of miles (most recently in December 2015 to Hawaii with his daughter), built, restored, renovated and preserved ships for many years before he came to the Maritime Museum and in the years since. He is a licensed captain for sail, steam and auxiliary vessels of 200 tons registry, is the Star of India’s navigator and sails as relief captain for the other vessels of the Museum’s active fleet including the State tallship Californian, steam yacht Medea, Swift Boat PCF 816, Pilot and most recently, the galleon San Salvador. Dr. Ashley is a member of many civic and professional organizations and serves on the Boards of the Tall Ships America, the California Missions Foundation, the Maritime Alliance Foundation, the San Diego Port Tenants Association, the Heritage Committee of the International Congress of Maritime Museums, and the President’s Advisory Council of Mystic Seaport. In 2007, Dr. Ashley was Conference Chair for the Eighth International Maritime Heritage Conference, hosted by the Maritime Museum of San Diego. In 2014 Dr. Ashley was recognized with lifetime achievement awards by both the Maritime Alliance in San Diego, and the International Maritime Heritage Alliance, for the construction of the Galleon San Salvador. In recognition for his efforts in building the San Salvador, in 2016 Dr. Ashley was knighted with the rank of Knight Commander, Order of Isabella la Catholica by direction of his majesty, King Felipe VI of Spain. He lives in Chula Vista with his wife Carlynn (with whom he once sailed a 25’ boat through the South Pacific). Susan Sirota is Vice President, Operations of the Maritime Museum of San Diego. Ms. Sirota joined the Maritime Museum staff in 1998 and was the Director of Education since 2001. Her responsibilities included managing a staff of instructors that teach science and environmental programs, public programs and living history programs for the Museum. In addition to her role as Education Director, Ms. Sirota has taken on a variety of projects such as administering the Elderhostel program, coordinating a submarine exhibit, and project manager for Festival of Sail 2002. Ms. Sirota moved to San Diego after receiving her graduate diploma in planning and design from the University of Melbourne in Australia and a master’s degree in environmental studies. After returning from overseas, she served as an AmeriCorps Watershed community coordinator and developed several community environmental education projects. Ms. Sirota came to the Maritime Museum staff from the San Diego County outdoor education office in order to develop the Pilot boat program.